Kiss real leather goodbye! 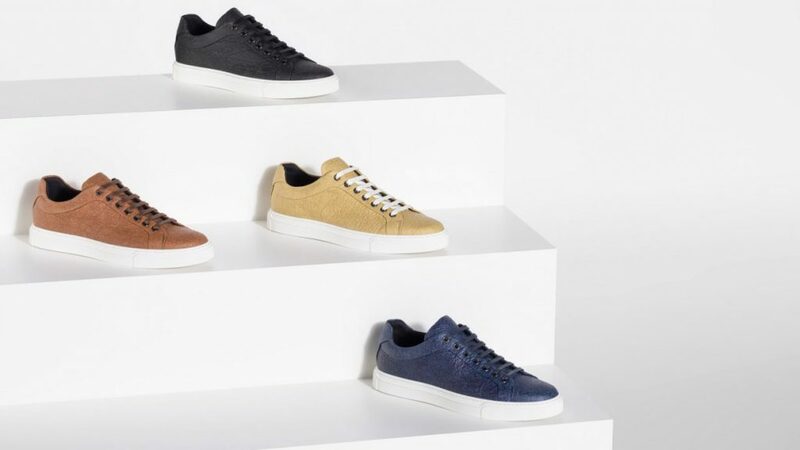 This year, the German luxury house Hugo Boss is presenting a range of shoes made of Pinatex, a plant fibre that is gradually replacing animal materials. Here’s the story. Who said that luxury couldn’t be vegan? Given the eco-friendly trend, an increasing number of high-end brands are prioritising artificial materials over traditional fur and leather. The latest to date? 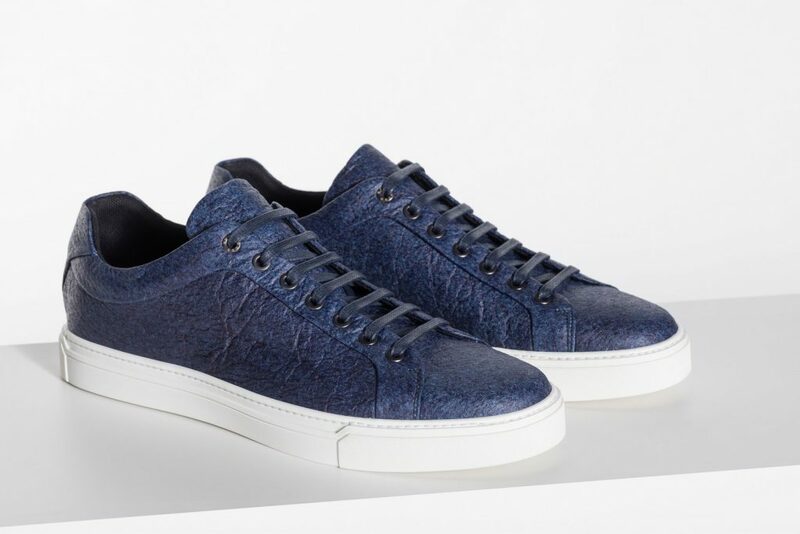 Hugo Boss, which has just launched a 100% vegan men’s footwear collection. 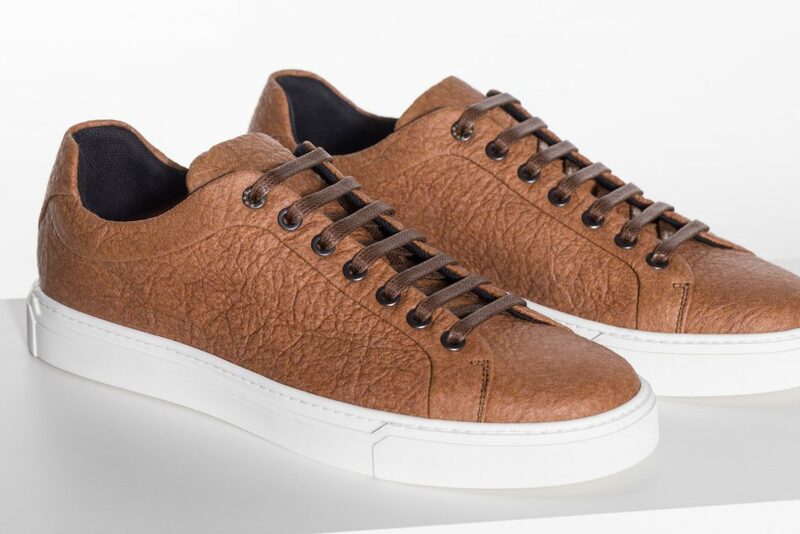 Manufactured without any animal products, these shoes are crafted using Pinatex, a natural material composed of pineapple leaf fibres that imitates leather without any tanning or toxic chemicals. Instead of being discarded, the leaves are rid of their long fibres at the root, peeled as it were, and then converted into a non-woven mesh to offer a soft and supple alternative to leather, as well as a new source of income for pineapple growers – as mentioned in the EARTH Theme in Promostyl’s SS20 Men Trendbook we are increasingly turning to virtuous production circles, directly inspired by the extraordinary capacities of nature and the teachings of our ancestors. 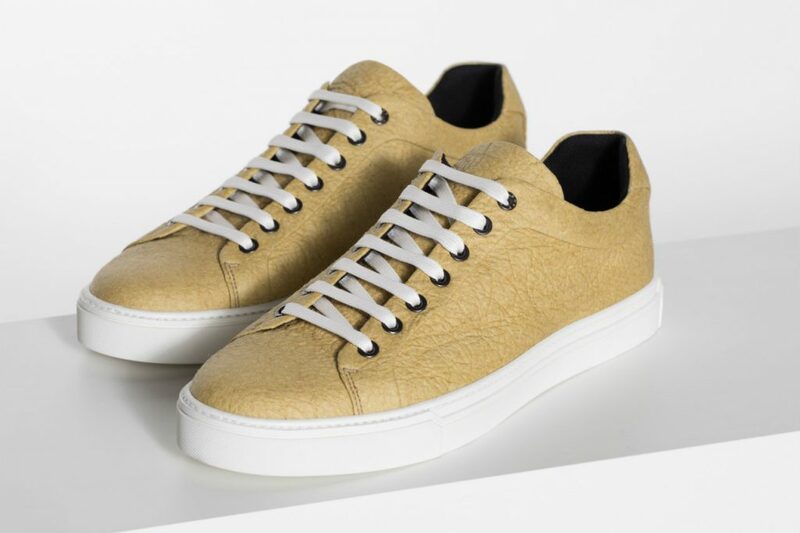 Available in blue, black, orange and yellow, the designs use plant-based dyes and their soles are entirely made of recycled thermoplastic polyurethane. 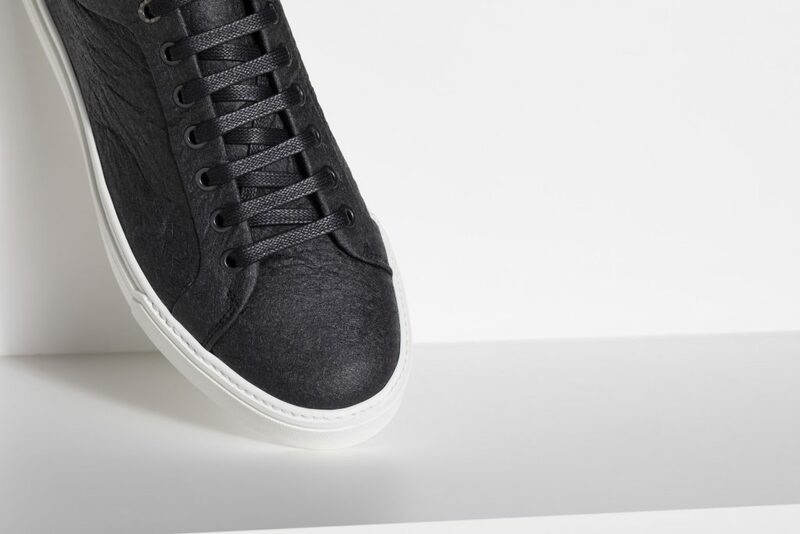 For, as well as being vegan, these shoes have also been designed to have a minimal environmental impact. The box in which they are sold is fully recyclable and biodegradable thanks to recovered paper fibres. 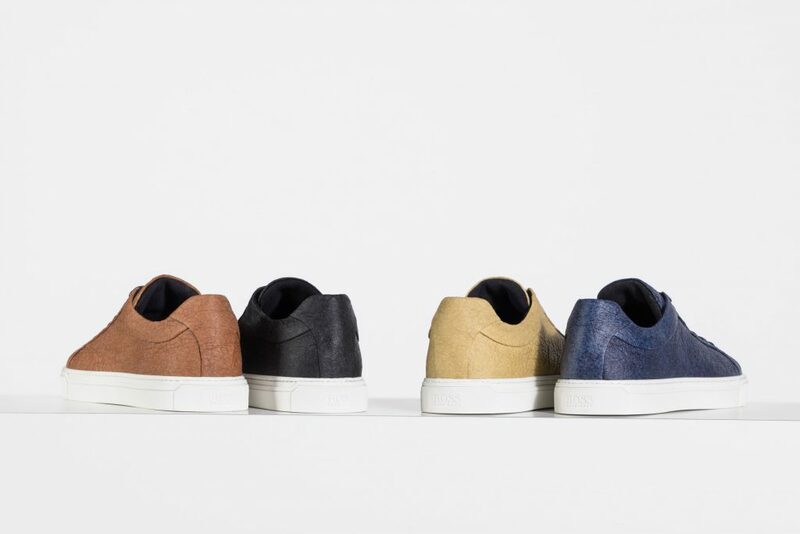 “The project is part of an ongoing commitment to innovation across the company’s offering as well as a continuous search for more sustainable ways to design, source, produce and finish its products,” stated the fashion brand, keen to apply sustainability principles from now on.